A Korean supermarket has launched a new form of banana packaging, which is being hailed as “genius” on social media. 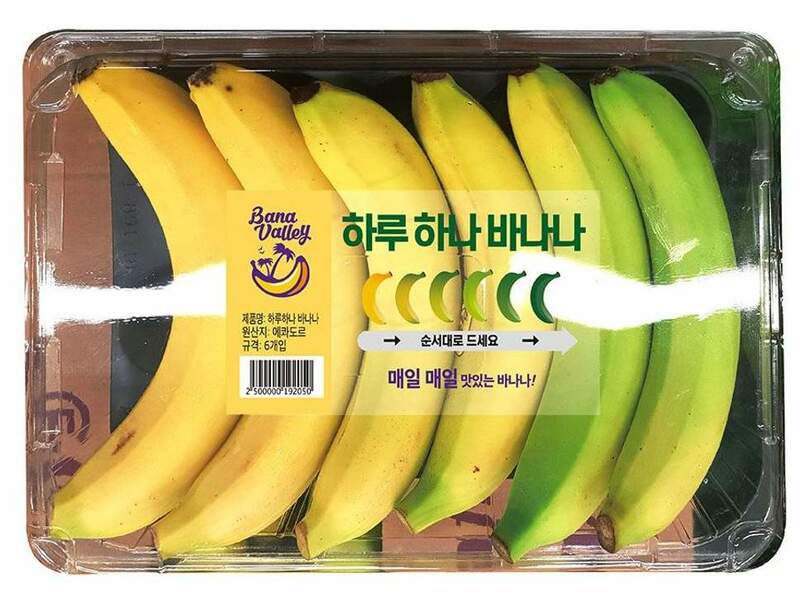 Korean supermarket’s innovative wrapping of its bananas include a pack in which a set of six bananas are placed alongside one another in a packet in order of ripeness. In this way, one can avoid purchasing a bunch of bananas that are overly ripe or not ripe at all. Consumers are encouraged on the E-Mart website to eat one banana per day, starting with the most ripe banana and then working their way through the packet of six. One person on Twitter has described the product as, “Genius at work,” with another person stating that it’s a “practical solution to food waste.” However, other individuals have been less enthused by the idea, condemning the supermarket for its decision to encase the bananas in plastic packaging.